People love stories. We’ve been telling them for thousands of years, ever since we first started gathering around fires and in caves. Our tools have changed—these days we’re more likely to use gifs than cave drawings to illustrate our tale—but the basic premise has stayed the same. When you want to elicit an emotional from your audience, a story works wonders. This is why case studies can be extremely effective. If you know how to tell them well. No one likes to be bored or confused. People want to entertained and enlightened. That’s what your story needs to do. 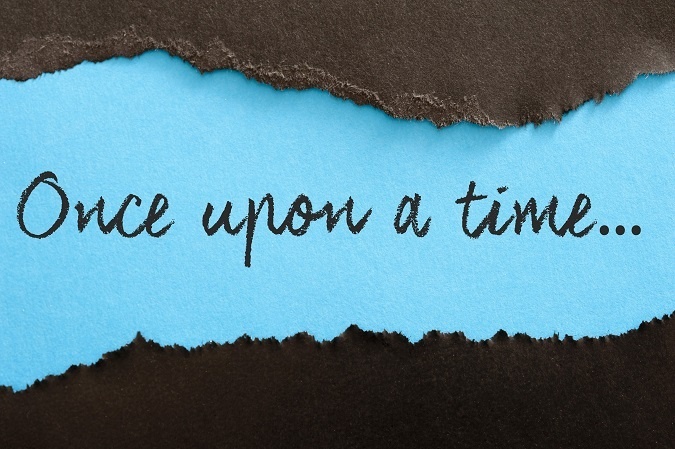 To make sure your story has the desired effect, follow these two rules. Your case study writing should have all the crucial elements of a story: at least one appealing character, a setting and conflict. When you tell a story, you’re not just stating facts and statistics. You’re painting a picture with words. This requires detail and depth. Consider the following two examples. Which one draws you in more? A few years ago, my friend Samantha had just graduated college and was working as an intern at a publishing house. Her husband had a job at an accounting firm, and it actually paid, but not much. They were struggling to get by, but they decided to splurge on a nice night out—dinner, dancing, that sort of thing. Samantha wanted a new dress for the occasion, so I went to the mall with her in search of some good sales. We were going down the stairs when she tripped and fell—CRACK! At first I thought she’d broken her ankle, but it wasn’t that. It was her tooth. Her front tooth. She looked at me, this terrified expression on her face, and there was a big gap right where that front tooth should have been. She started crying. Bawling, really. She was sure she’d have to walk around like that for months, maybe longer, because she couldn’t afford to fix it. I took her home, and her husband laughed and told her it was OK. Samantha got mad at him. Her tears stopped, and her face turned red with rage. I thought she might leave him. But then he explained that it was OK because he’d purchased dental insurance a few months ago. He thought he’d told her. Maybe he’d forgotten to tell her, or maybe she just didn’t remember. It didn’t matter. She was so relieved. She started crying again, but this time they were happy tears. She called the dentist immediately. I’m surprised the receptionist could understand through all the blubbering, but Samantha got an appointment for the next day. The tooth was fixed, at almost no cost to her thanks to the insurance, and she went on a lovely date with her husband. I knew a woman who damaged her front tooth. She was really happy to have dental insurance. Most people would forget the second example within minutes of hearing it. The first example has a lot more detail. The audience should be able to empathize with Samantha, which is exactly what I want. #2 Essential: Make your point clear. You’re probably familiar with Aesop’s Fables, those short stories with animal characters. The Tortoise and the Hare is a particularly famous one. These fables often end with a clearly stated moral. The one about the tortoise and the hare tells us that natural talent is not enough. Winning requires perseverance. Many translations state this moral explicitly. I had a friend named Samantha. She was really pretty and she totally knew it, but one day we were at the mall and she fell and smashed her face. She started crying, and when her husband saw her broken tooth, he laughed. I thought they were going to get a divorce. The point isn’t clear at all. Is it about cruel husbands? Is it about vanity? It certainly doesn’t seem to be about dental insurance. Everyone has a story. Tell yours with vivid details and a clear point, and your prospects will respond. Need to develop an insurance case study? We can help with a tailored service package to accommodate your goals. Contact us to explore the possibilities.